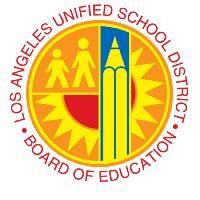 LOS ANGELES (May 14, 2013) – The Los Angeles City Board of Education approved today a landmark plan that makes the Los Angeles Unified School District (LAUSD) the first in California to ban suspensions for what is known as willful defiance. The measure approved 5-2, represents another major shift on student discipline within the school district. The board’s vote requires Superintendent John Deasy, who backs the new approach on discipline, to provide an outline within the next four months for putting a plan into practice. Board Member Nury Martinez, a co-sponsor said, "Once again LAUSD is becoming a model for progressive disciplinary policies. Students who are suspended for non-serious offenses are more likely to drop out later in their education. Today's board action ends a policy that failed to keep our students learning or our streets safe." The number of instruction days lost to suspensions has declined sharply since 2006 when a new discipline policy was adopted. At that time, 74,765 days of school time was lost compared to 26,286 by 2011-12. Still, studies show that suspensions can cause students to fall further behind in school, and raises the risk of students getting into trouble with the law. Moreover, there was a disproportionate number of African American and disabled students being suspended, in particular, when compared to the broader student enrollment. For these reasons, the district created a new policy that will eliminate a subjective use of suspension for such actions as not coming to class prepared or refusing to remove a cap while reserving the punishment for serious offenses.